A visitor looks at a Geely NL-3 at the Moscow auto show in August. HONG KONG -- Chinese carmaker Geely Automobile Holdings denied that it planned to make a takeover bid for Fiat Chrysler, following a report in Automotive News Europe sister publication Automotive News this week that it was a potential suitor for the Italian company. Geely was one of several Chinese carmakers cited in the Automotive News report said representatives of "a well-known Chinese automaker" had made an offer this month for FCA, which has a market value of almost $20 billion. "We don't have such plan at the moment," Geely Automobile Executive Director Gui Shengyue told reporters at an earnings briefing on Wednesday, when asked if Geely was interested in Fiat. He said a foreign acquisition would be complicated, but he did not elaborate. "But for other [Chinese] brands, it could be a fast track for their development," Gui added. However, a source close to the matter said FCA and Geely Automobile's parent firm, Zhejiang Geely Holding Group had held initial talks late last year, without disclosing their nature. The source confirmed Geely was no longer interested in FCA, noting that the parent company had only three months ago announced its first push into Southeast Asia with the purchase of 49.9 percent of struggling Malaysian carmaker Proton. Zhejiang Geely Holding purchased Volvo from Ford Motor in 2010. Geely Automobile's denial failed to dent FCA's share price, which has jumped more than 10 percent to a 19-year high since Automotive News said on Monday, citing unnamed sources, that FCA had rejected the Chinese offer as too low. FCA declined to comment on Wednesday. FCA CEO Sergio Marchionne has repeatedly called for mergers as a way of sharing the costs of making cleaner, more advanced cars, but he has failed so far to find a partner among the company's bigger rivals. Volkswagen Group and General Motors have both said they are not interested in talks with FCA. 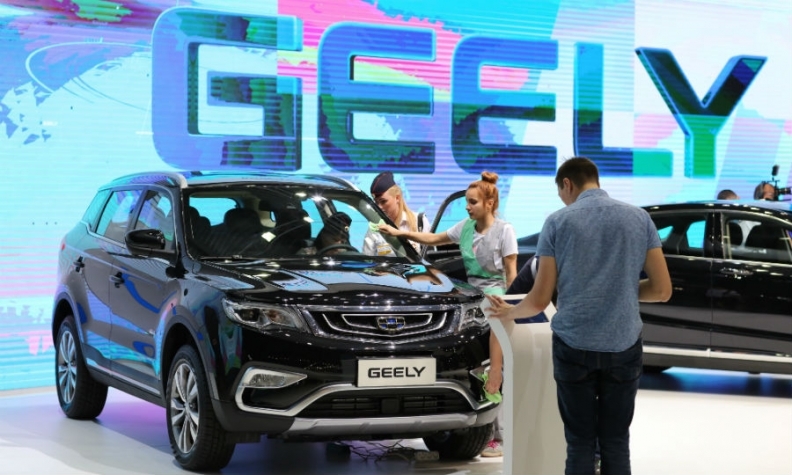 On Wednesday, Geely Automobile reported a doubling of first-half profit, above expectations, as cars designed with Sweden's Volvo won over domestic consumers. Like its peers, the Hangzhou-based group is looking at expanding overseas with a particular interest in entering the profitable North American market. FCA's Marchionne retreated from his search for a merger in April, saying the carmaker was not in a position to seek deals for now and would stick to its business plan. The Italian government has made no comment on the merger speculation but an Italian daily said on Tuesday that Rome was worried about potential job losses. Given FCA's legal domicile is in the Netherlands, and its headquarters is in the UK, the government could not do much to influence a takeover, it added.